Korean stickers are at par with Kawaii stickers, or to simply put it, stickers made by Japanese publishers. As their culture are very much alike, their style on designing stickers also doesn’t come very far in between. 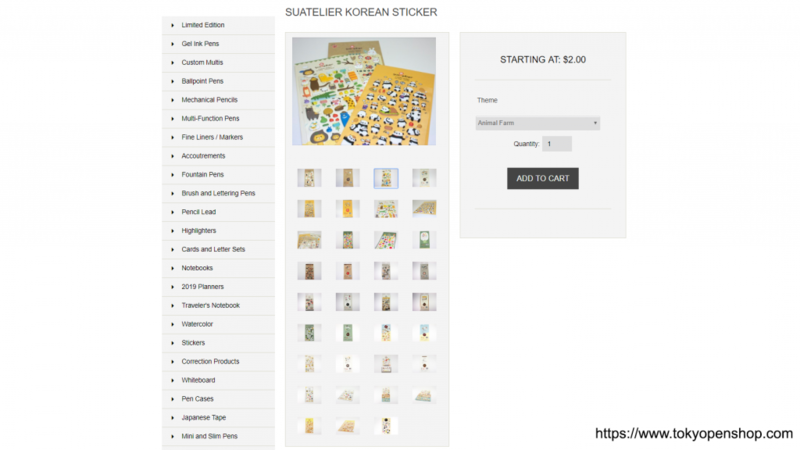 The phenomenal design of Korean stickers are also adapted from its own culture. Korean stickers from the last decade were mostly designed after Korean pop culture. 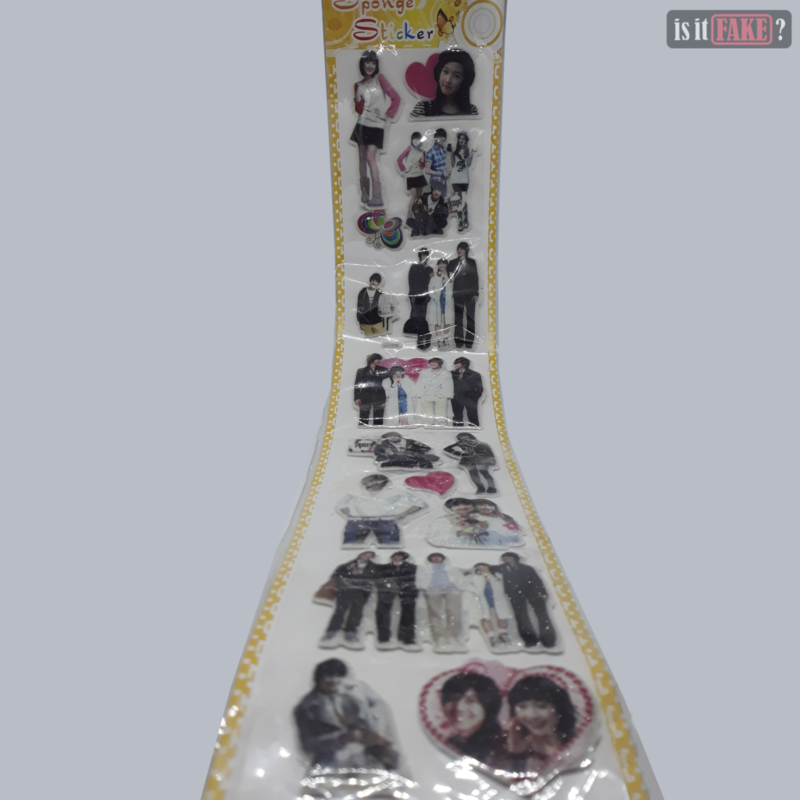 The concept of K-drama stickers were also included in these designs. 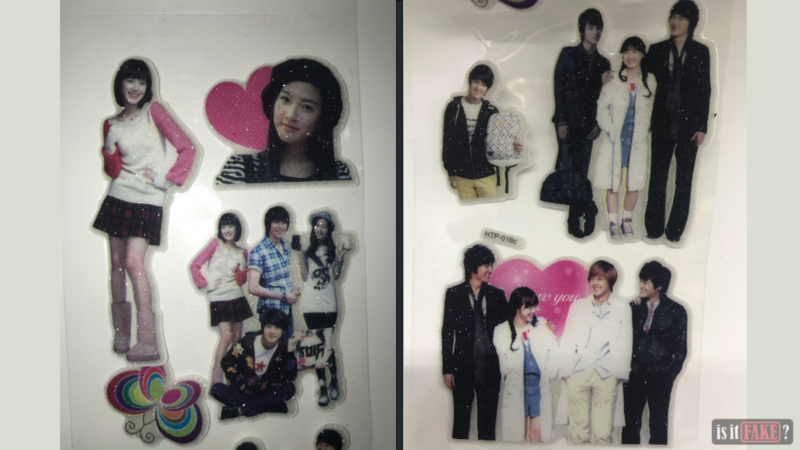 In fact, the stickers designed after a popular KBS drama, Boys Over Flowers, were selling like pancakes during the prime of its time. A bunch were also given away during fan events of the drama. Korean stickers today would also have a western culture vibe in it as artists became very fond of the European culture because of its sophistication. 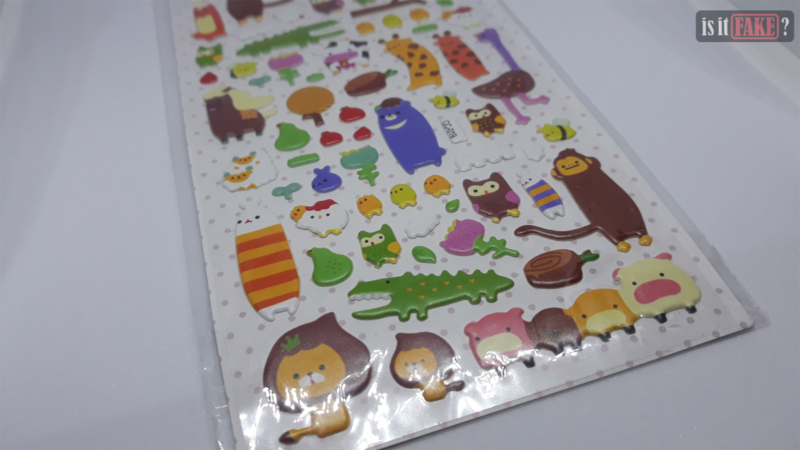 Apart from sophisticated designs, Korean stickers are still able to deliver cute and adorable designs that attract kids and female fans. 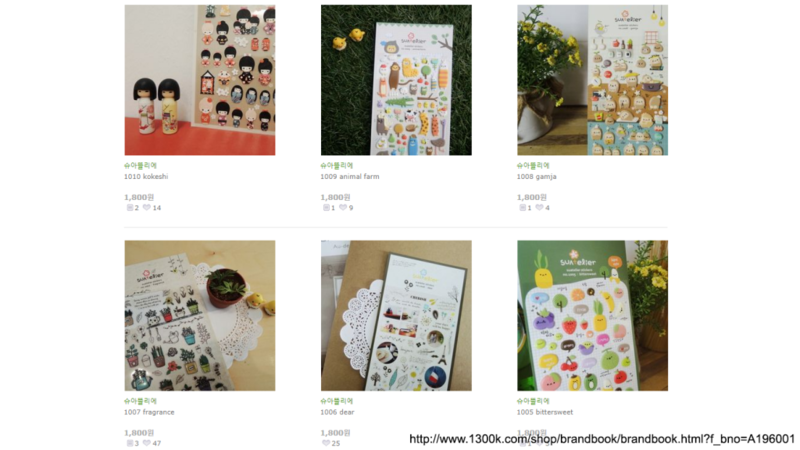 The ever rising popularity of Korean stickers are being taken advantage by shady vendors over at various e-commerce websites like eBay and AliExpress. Local stores aren’t even a safe place to shop for legitimate stickers. Why would fake stickers bother you anyway if you got the design you want, right? And that, my friend, will be discussed as you read through the stickers we bought to check up on. A girl who suddenly gets a scholarship to the most prestigious Shinhwa High School yet surrounded by rich heirs with the school’s most popular boy group, the F4, that she immensely despises. That is the life of Geum Jan Di in the popular KBS drama, Boys Over Flowers. However, this story isn’t something new to the Asian drama scene as Boys Over Flowers is an adaptation of the Japanese manga, Hana Yori Dango by Yoko Kamio. It also followed the Taiwanese drama, Meteor Garden, making it the last television adaptation that’s been aired so far. With the series’ popularity, there’s no doubt bootleggers have taken advantage to deceive fans into buying their fake merchandise. 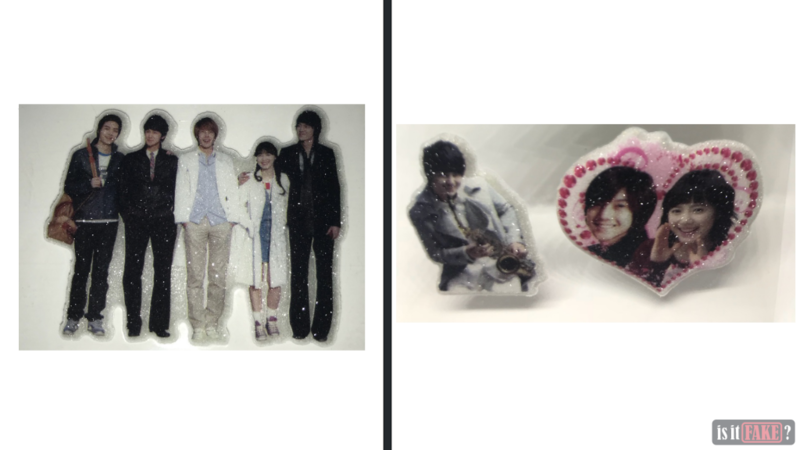 Even after almost a decade since the drama had aired, bootleggers have left their remnants of counterfeit items with this baffling, glittery Boys Over Flowers stickers. In the narrow streets of Manila, Philippines you’ll come across rows of stalls selling a bunch of fake merchandise. Sellers of these bootlegged items turn a blind eye of its true nature and how it affects the economy. Don’t even bother asking for legit items because you’ll just be disappointed. 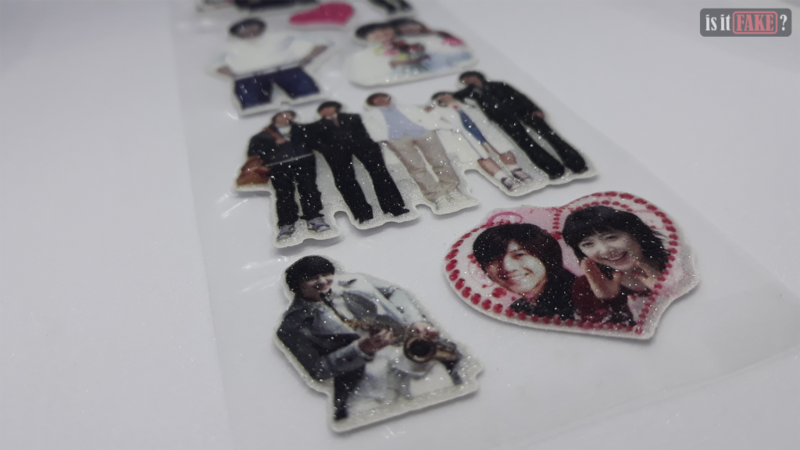 We found this Boys Over Flowers sticker set at a random stall. Though this item was bought from the Philippines, it’s still made in China and we all know what it all comes down to when we get K-drama merchandise made in that country. You guessed that right – an awfully copied merchandise. 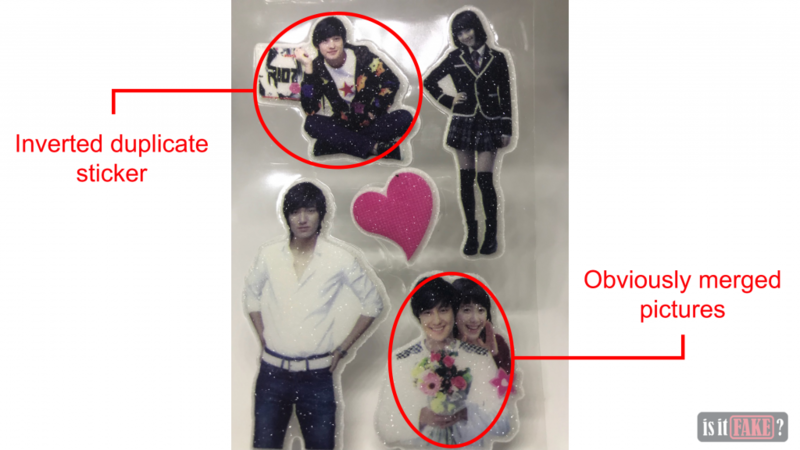 The fake Boys Over Flowers sticker set comes in 3D with glittery effect and its general packaging doesn’t give out any information about its manufacturer. 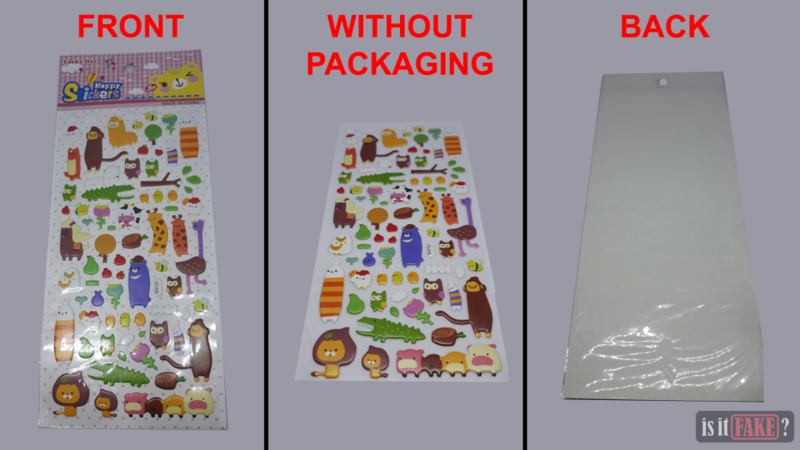 Looking at the packaging, we would assume that the brand of the sticker set is Sponge Sticker, and if we look at the bottom-back label of the packaging, it would look like that there are small parts that may be dangerous to children if swallowed. While stickers are indeed toxic if ingested, we see no fittings that might attract a toddler to eat. The packaging, as a whole, does not fit with the stickers at all as if it was meant for another set of stickers. Another hint of complete deceit is that the sticker mount is jagged and unfit to the whole background. As for the stickers, we can immediately see the 3D stickers glittering with some additional stickers that looks unrelated to the series itself. If you look closely, you’ll eventually notice the inverted duplicate sticker of Jan Di, and that’s just putting the pictures’ poor quality aside. The texture, though not seen in the images, is rough as if it’s made from sandpaper. Speaking of its material, the stickers are probably made from cheap PVC as it feels vulnerable to tearing, and possibly toxic as well. The glitter effect and its irregular strokes just don’t help, and in fact, just adds to its bootlegged value. 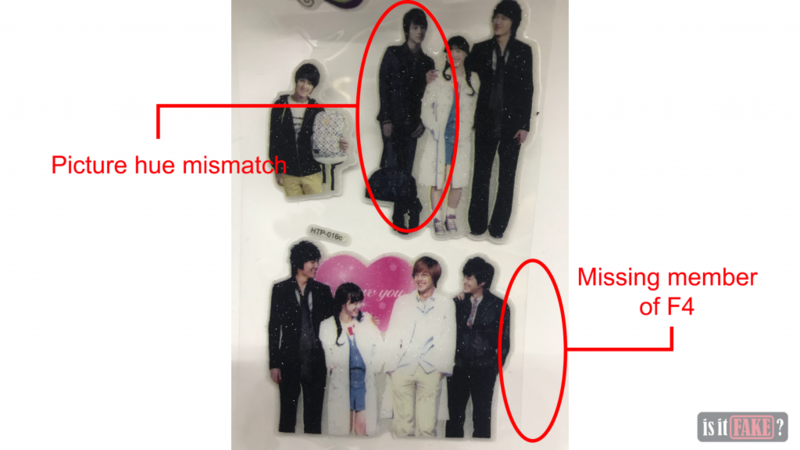 Most of the pictures used for the stickers are obviously grabbed from the drama however with a certain catch – inverted and incomplete cuts of the official photos. The edits look too forced just like how the individual picture of Jan Di suddenly sticking out behind Yi Jung and then an inverted duplicate managed to get beside Ji Hoo. 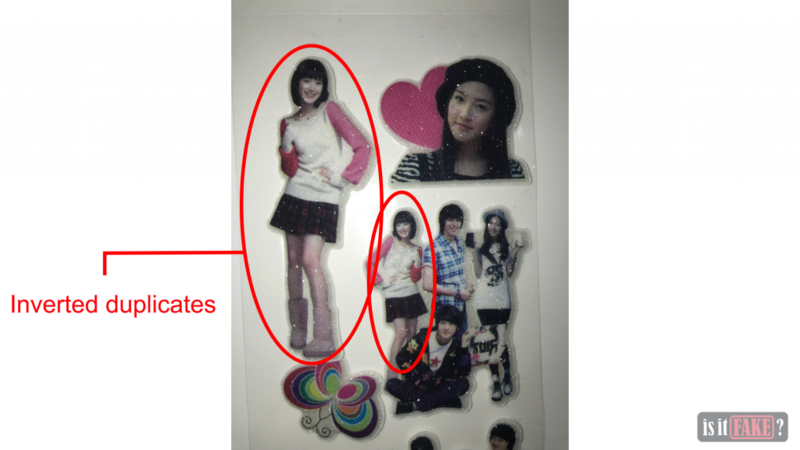 It’s also possible that some photos used for the stickers aren’t from the drama. Take a look at the official photos here. 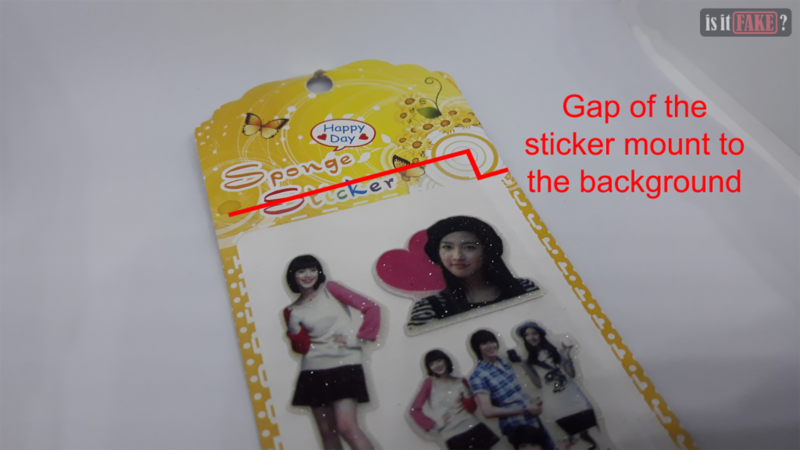 While official stickers may take its content from official photos, it wouldn’t go to the extent of inverting pictures or merging mismatched characters to make one sticker. 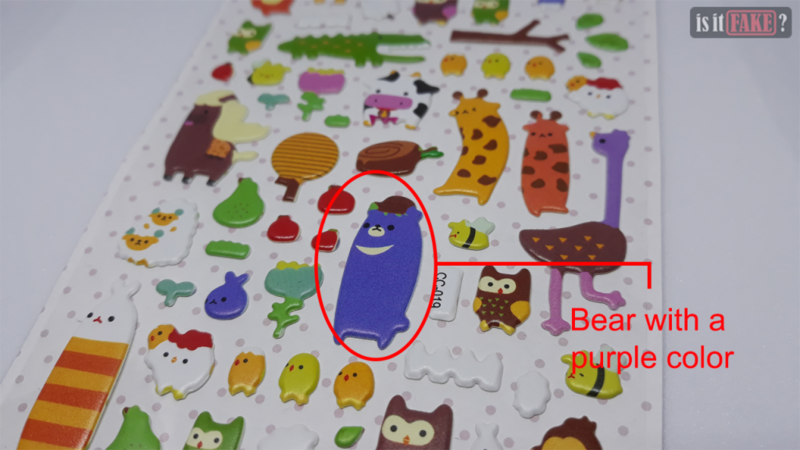 Aside from the low-res quality of the photos used to make the stickers, the color of the stickers are very dull. As a 3D sticker, it also lacks depth as if you wouldn’t think it’s a 3D sticker at first glance. Absolutely, it isn’t something you want to stick on your scrapbook or even in any piece of stationery you have. While KBS did air Boys Over Flowers, Shueisha, together with Group8, hold rights in reproducing any materials related to the drama. These does not only limit to Boys Over Flowers stickers. So obviously, this fake sticker, without any appropriate consent from the publishers, counts as a bootleg even without an exact original copy of the sticker sheet. Licensed stickers would have indicators from its copyright owner. Some popular merchandise may also have their publisher’s seal. 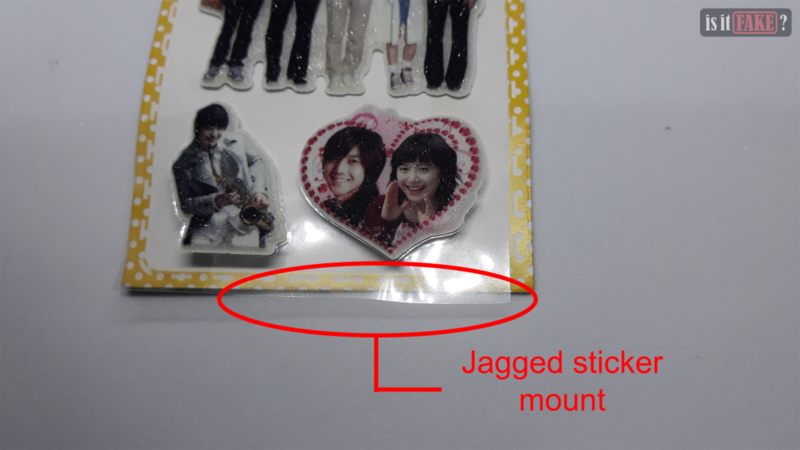 This sticker was bought at the same stall where we found the Boys Over Flowers sticker sheet. 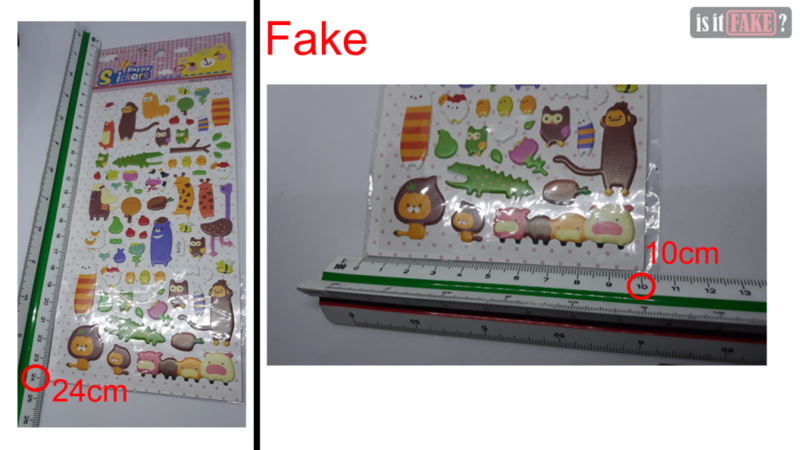 Unfortunately, this bootlegged sticker can also be found in various shady e-commerce websites like AliExpress. The header of the package clearly states that it’s made from China. The packaging also lacks information about its manufacturer. 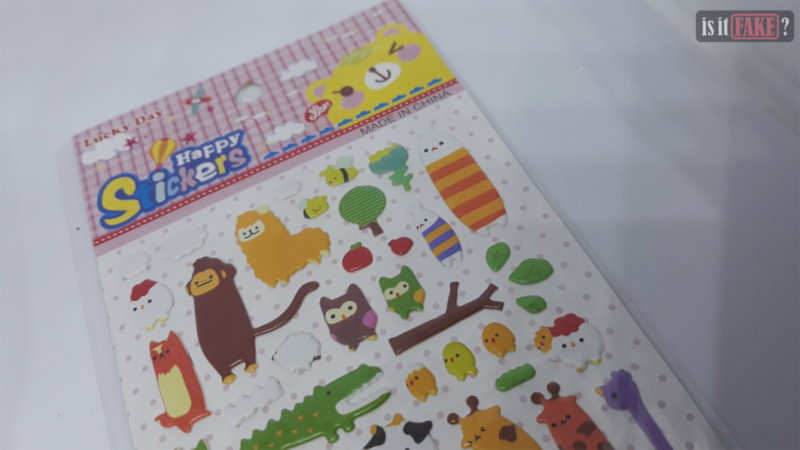 At first glance, you’ll be excited as how adorable the animals are in the sticker sheet. 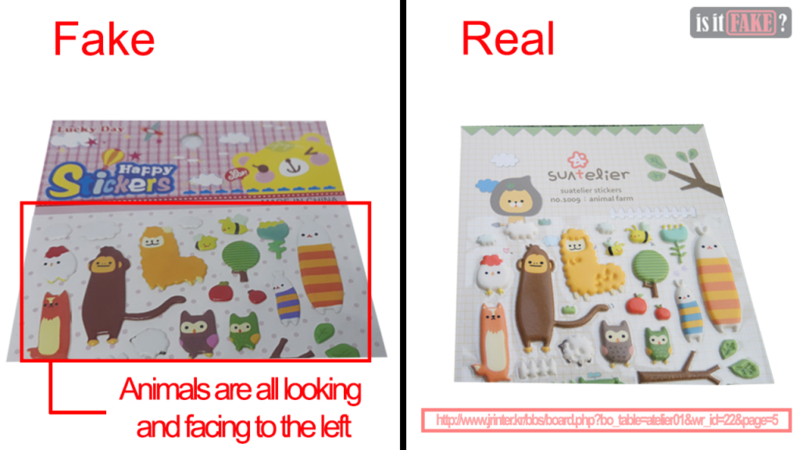 However, we regret to tell you this sticker sheet was copied from Suatelier’s Animal Farm stickers. 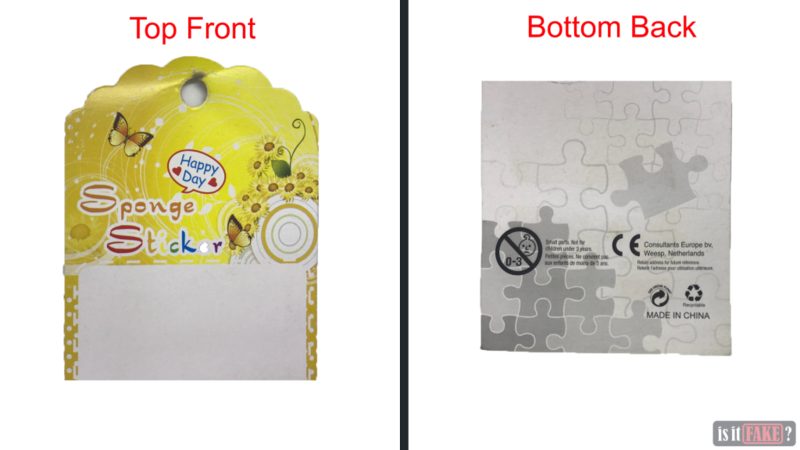 The sticker is packaged in a seemingly general “Made in China” sticker packaging, branded as Lucky Day. As to our disappointment, google search results didn’t give us any information on who manufactured this sticker but instead we found several vendors from AliExpress selling different designs with the same so-called brand. This should give you a sign that this sticker sheet is a bootleg. 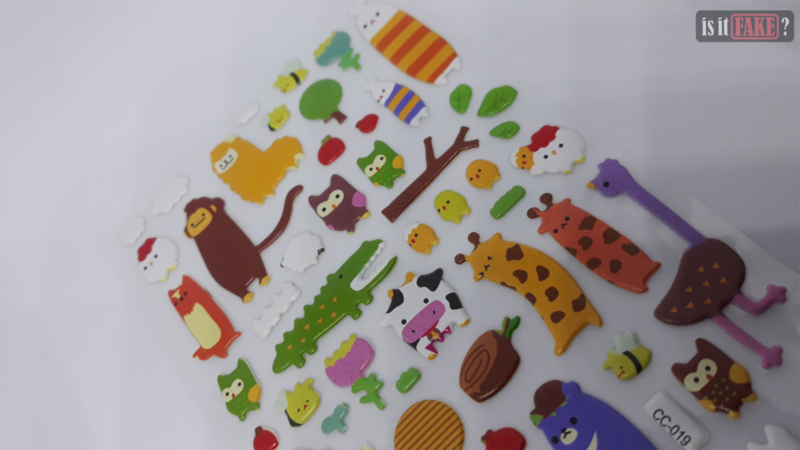 Most of the animals in the stickers are normally found in the usual farm setting though with a mixed of animals and fruits found in a jungle. 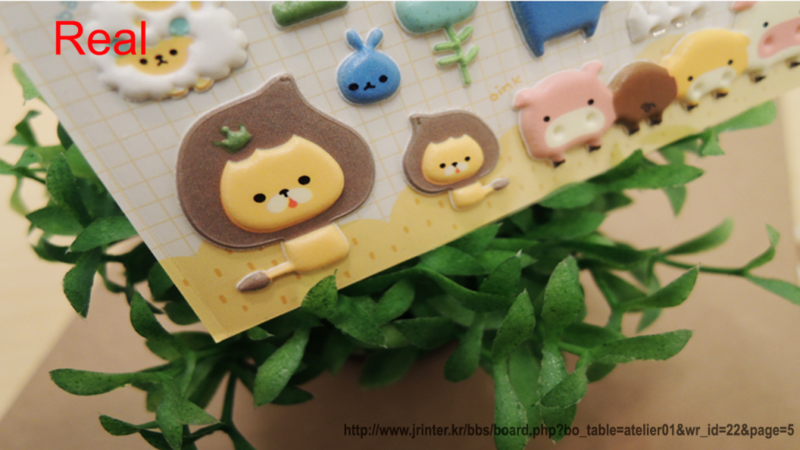 The texture of the sticker seems fine as it’s smooth, and the material of the sticker is a cardboard-like quality PVC that gives depth forming the 3D stickers. However, you’ll start to realize that the deception is real when you get to see the legit stickers. 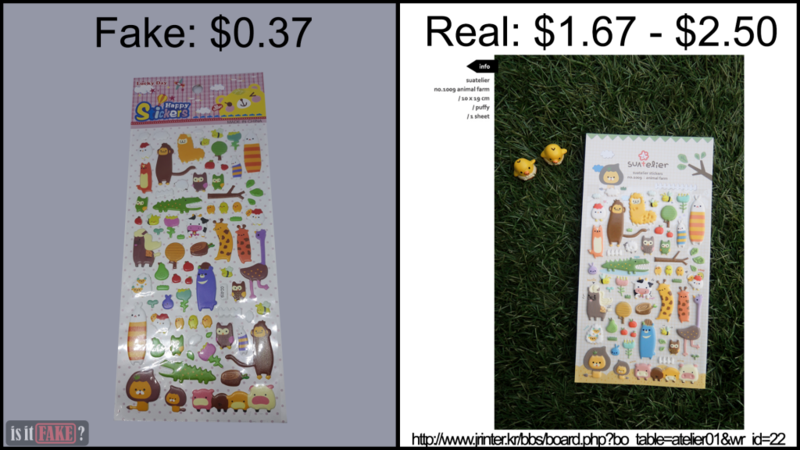 Now that you’ve been enlightened, let’s start to compare the difference between the real stickers and the fake one. You’ll notice that the animals on the fake Animal Farm sticker are looking left compared to the real Animal Farm sticker’s animals that are looking straight ahead. 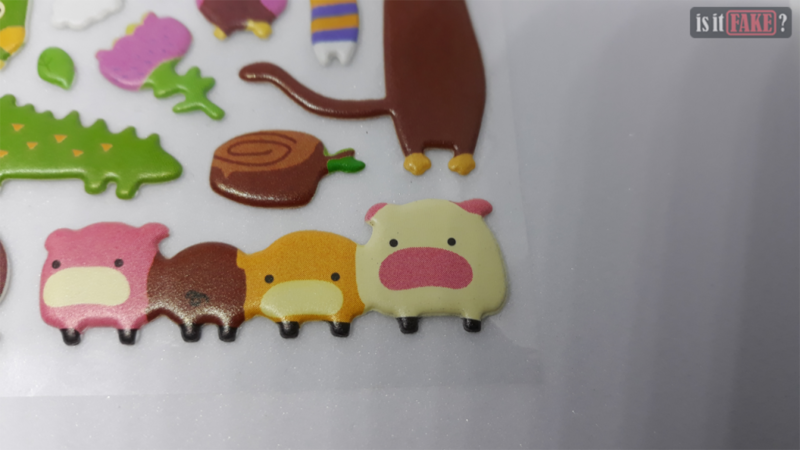 The design of the fake would almost look like the real one but with some noticeable details like how the fake Animal Farm failed to get the contour details of the real stickers. 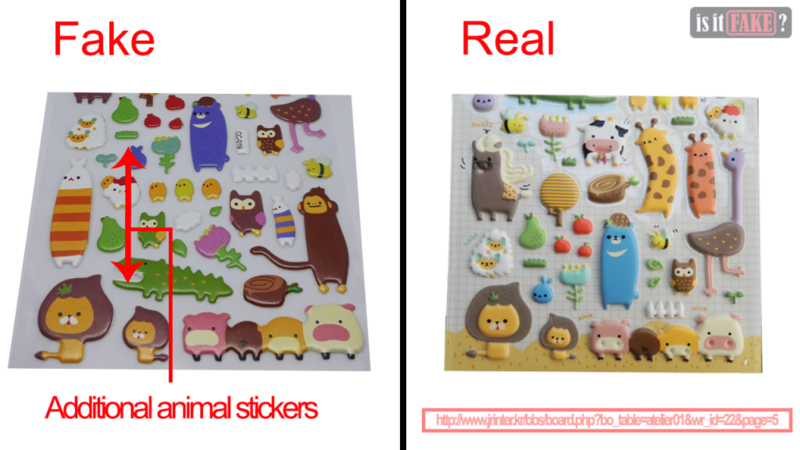 As for the fake sticker’s dimension, it’s longer than what the design’s supposed to be because of the additional animal and fruit stickers. The colors of both stickers are also comparable since the fake sticker animals are shaded with deep colors while they’re supposed to have variations in hue. You wouldn’t believe that this unknown abomination, somehow a product of ancient alchemy, was supposed to be pigs grouped side-by-side. As we pointed out, the contour detail missed by the fake sticker is one of its bootleg factor. 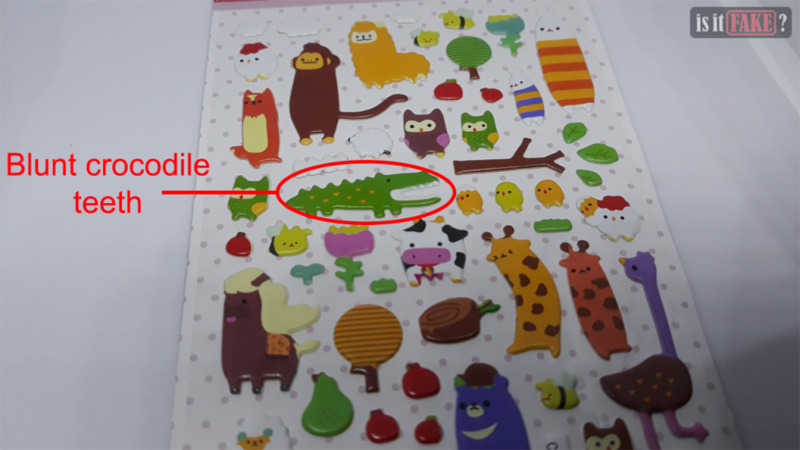 Also, we just had to point out another detail where the supposedly ferocious crocodile looks like it ate a big rock with its blunt teeth. 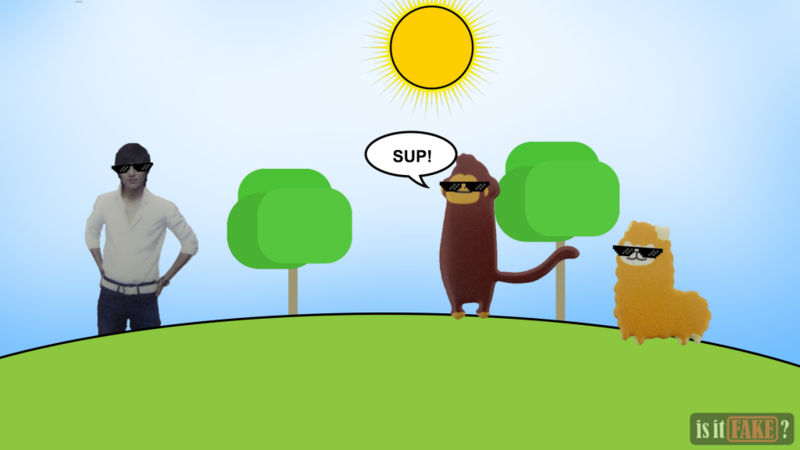 And speaking of color, once again, the color of the bear pointed out in the images doesn’t match the original’s color. 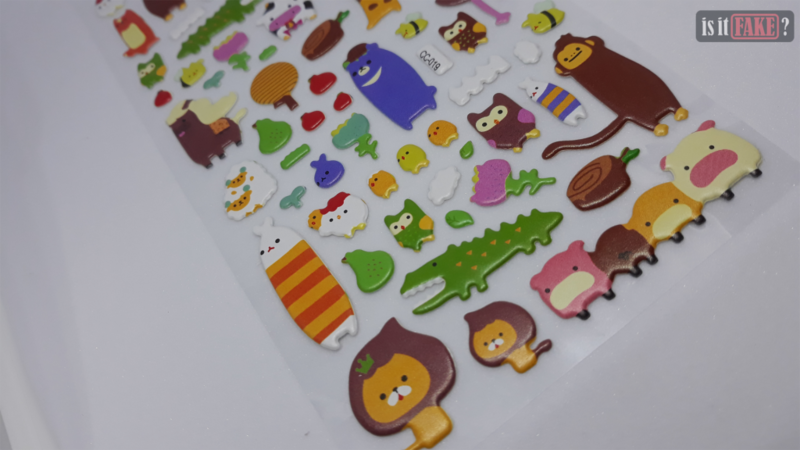 Getting a closer view on the real stickers, we get feel on the sticker’s high-quality material and well-defined details, especially its edges compared to the fake. Aside from the fake sticker’s inaccurate details, who knows what harmful chemicals are used to make the cheap stickers. It’s definitely not safe for kids or for anyone, in general. While fakes are cheap, these come with many drawbacks such as shabby designs and toxic materials. 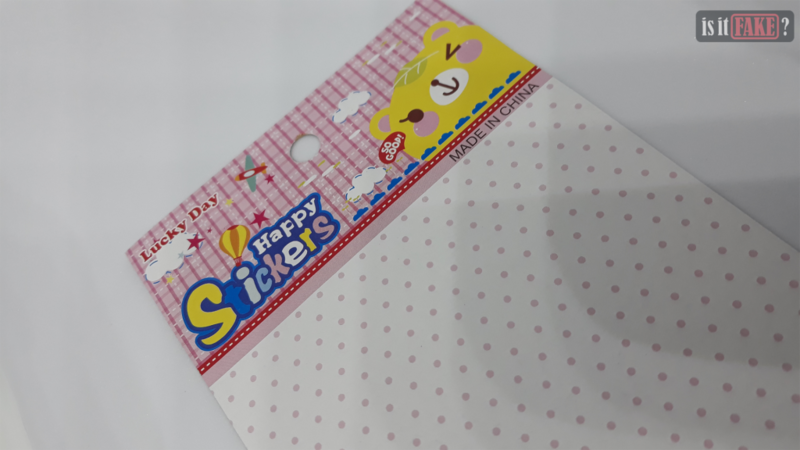 Licensed stickers tend to come within an affordable price range without posing a risk to your health and stationery collection, of course. Sure, let’s say you can get an almost-same design for a third of the original’s price. However, it’s undeniable that you’ll be getting an inferior product. 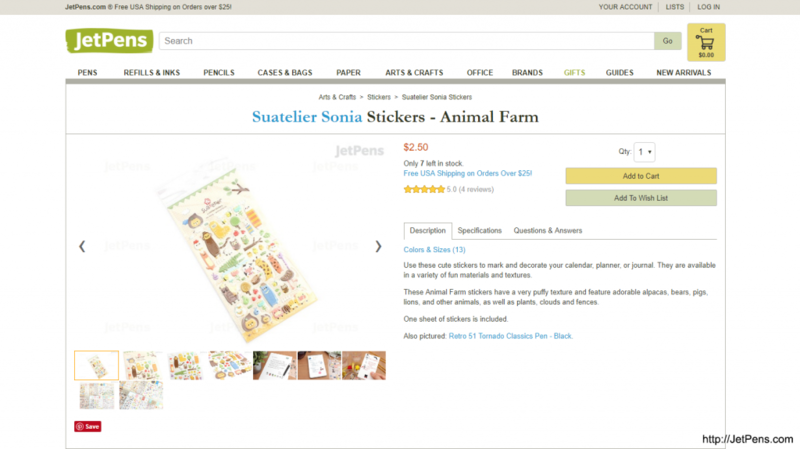 Fortunately, you can find the adorable Animal Farm stickers over at JetPens.com. 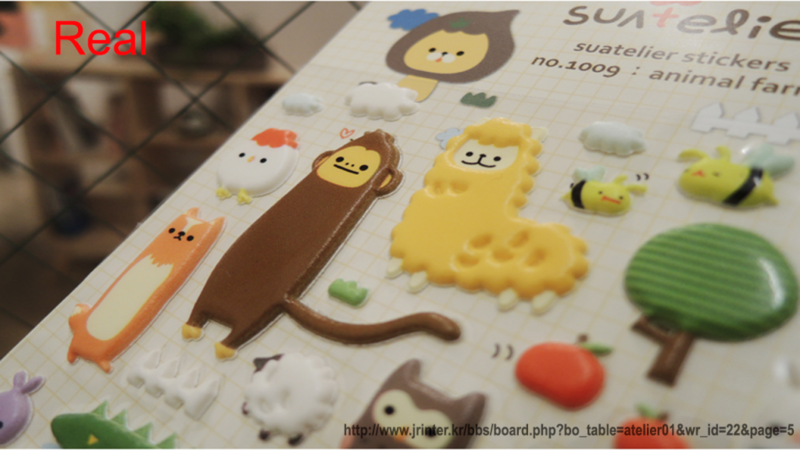 In addition, more Suatelier stickers are in stock with an international delivery option. 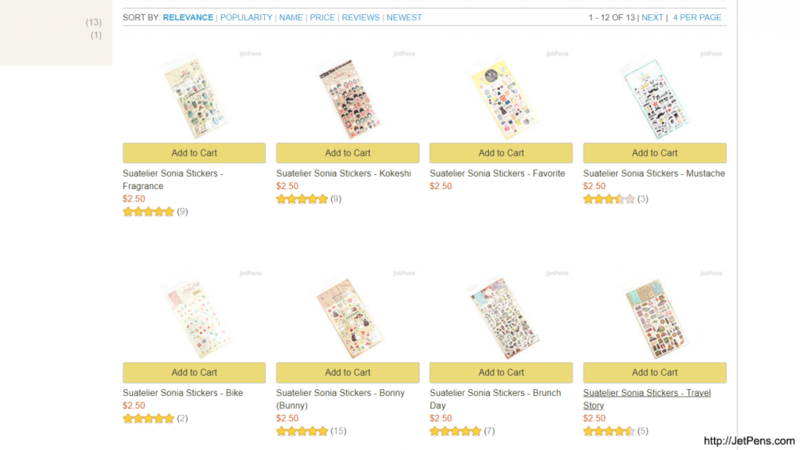 Those lucky sticker collectors from the US are also offered a free delivery for purchases $25 and above. 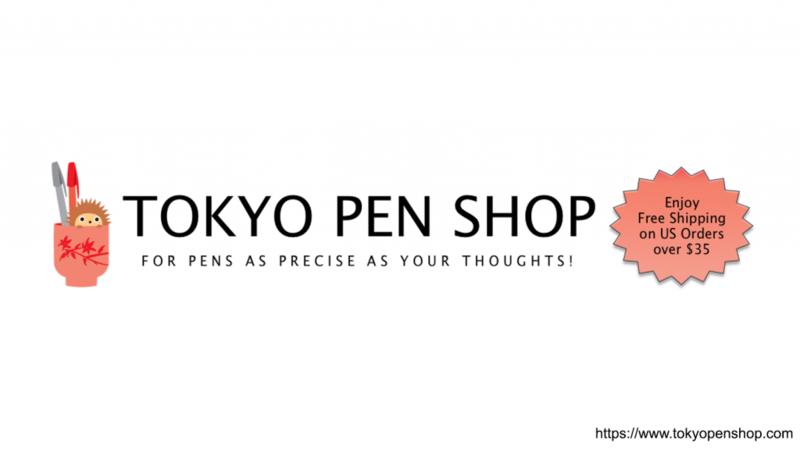 Another option would be Tokyo Pen Shop for cheaper deals. Though, the countries covered by their shipping services are fewer. Like JetPens.com, they also offer free shipping in the US but for $35 and above instead. 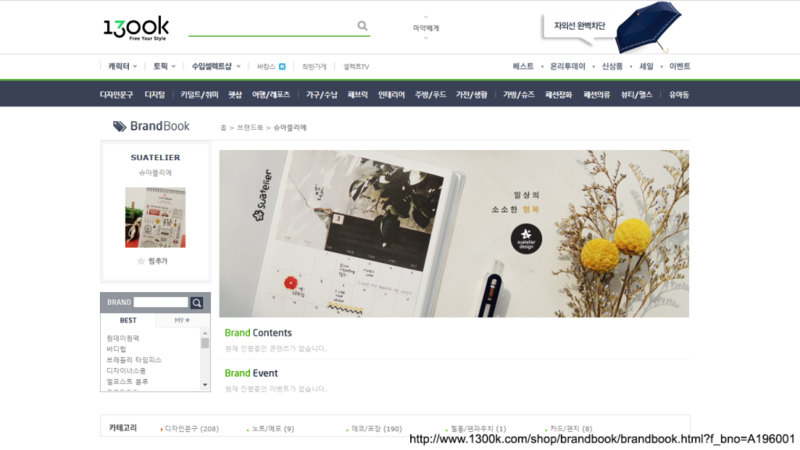 Of course, the most affordable website to shop is from a local Korean website. So just in case you’re a collector residing in South Korea, you’ll be able to find Suatelier in 1300k.com. 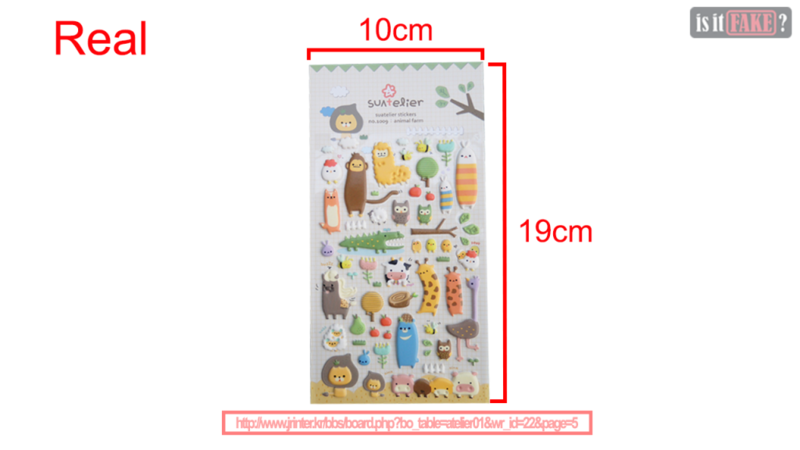 While they also have a shop in Amazon, they have less inventory on that website but don’t hesitate to check just in case they add more stickers on their Amazon shop. There’s no answer to how these stickers try hard in being legit, whether they have an original counterpart or not. These stickers seem like they were created from another dimension where the F4 were just three men and pigs lost their noses. Aside from a defective attempt to copy designs, these stickers look like they’re also made from toxic materials, and not to mention the origin, China, doesn’t help with their failure to brand the stickers. Thus, the fake Boys Over Flowers and Animal Farm stickers deserve our score of 60% terrible for their deception that was an utter failure.